Some experts say the Met Office should stop longer-term forecasting because it damages the organisation's reputation. Others maintain that communication of the forecasts must be improved. The Met Office has been criticised for failing to predict in its seasonal forecasts the UK would suffer this cold winter or the last three wet summers. After being rapped for its now notorious "barbecue summer" press release, the winter forecast was expressed in probabilistic terms, with a 66% likelihood that the winter would be warmer than average and a one in seven chance that it would be colder. The Met Office has now admitted to BBC News that its annual global mean forecast predicted temperatures higher than actual temperatures for nine years out of the last 10. This "warming bias" is very small - just 0.05C. And the Met Office points out that the variance between the forecast and the actual temperature is within its own stated margins of error. Professor Chris Folland from the Met Office said a re-analysis of weather science might even show that the actual temperature measurements have under-recorded recent warming - making the Met Office forecast even more accurate than it appears. Andrew Watson, a Royal Society environment fellow from the University of East Anglia's school of environmental sciences, said: "These annual forecasts are not awful - they accurately predicted two of the cooler years, for instance. But they are not great, either. "The warming bias is admittedly very small - but the Met Office has to address why it is there. It will certainly be very difficult to get rid of - they can't just knock a bit off their forecast - that would be totally unscientific." Professor Watson said the warming bias - first mooted on Paul Hudson's BBC weather blog - should not affect trust in the Met Office's climate projections, which are based on a different methodology. But he said the medium-term projections were undermining public faith in the Met Office overall. "I don't know why the Met Office bothers with these annual forecasts - [these forecasts] have a very low reputation in meteorology and climatology. No one really believes them anyway. They should just stop doing them," he said. The climate scientist Mike Hulme - respected in many quarters of the climate debate - agreed on the need for change. "These sorts of seasonal forecasts are of dubious value to the public," Professor Hulme, also of UEA, explained. "It would probably be much better if the Met Office didn't attempt to persuade the public that it can forecast annual temperature to two decimal places given uncertainties in forecasting and in the measurements themselves," he said. But Professor Stephen Mobbs, director of the National Centre for Atmospheric Science at Leeds University, said the warming bias in the annual prediction was a red herring. "All models have biases and these are very small. It may be, as the Met Office suggests, that the observations are wrong, not the model." But Professor Mobbs criticised the Met Office's communication of its forecasts. "The Met Office is a truly world-class organisation - we are lucky to have it," he said. The University of Leeds researcher added: "They need to say that these longer-term forecasts are experimental and not use ridiculous phrases like 'barbecue summer' dreamed up by the communications people." "When you see Met Office people on TV now they have a look of panic - and they dig themselves deeper into a hole. The short term forecasts are excellent. They should say the longer-term ones are highly uncertain, then keep modifying them. "For some reason, the Met Office isn't telling the public what it knows about the weather for the next week - and what we ourselves can tell from looking at the Met Office data." Professor Mobbs agreed that the experimental nature of annual forecasting should not undermine climate forecasting. 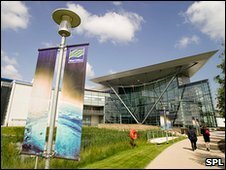 Some staff at the Met Office itself are angry that seasonal forecasting is damaging its reputation. Sources confirm that the organisation is debating how to react to public criticism on the issue. In recent years the Met Office has increasingly expressed its forecasts in probabilistic language, hedged with error bars. But Matt Huddlestone, who deals with public understanding at the Met Office, told me that the media constantly over-simplified the forecasts to remove the probabilities. "I actually think the public are capable of understanding probabilities much more than some of the papers think," he said. But the Met Office's seasonal and annual forecasts rely partly on statistical projections, not just computer modelling. And many other meteorologists mistrust Mr Corbyn himself because he refuses to publish his scientific methods. I have been asking him for several months to offer independent corroboration of his forecasting successes but none has been supplied. Some other forecasters say he has major forecasting successes but equally large failures which he does not mention. I have been discussing with the Royal Statistical Society, the Royal Meteorological Society and the Public Weather Service whether an index can be created comparing the records of all reputable forecasters making weather projections in the UK. A weather index could allow the public to see over the years who is really getting it right over long-term weather. In the meantime, the Met Office has to make difficult decisions. Some commentators say that if they stay in the long-term weather game and trip up again, they may be pilloried. If they withdraw, they may be accused of losing faith in their methodology - and public confidence in science could be eroded - whether that is fair or not. Many researchers are likely to feel that they are damned if they do and damned if they don't.